MamaEatsClean: My Ukrainian Christmas Menu - Different but still the same! My Ukrainian Christmas Menu - Different but still the same! Times have changed for me, for our family. We no longer gather around my Grandparents table (and makeshift table that extended us into the living room) on January 6th and 7th. Our arms and elbows bumping each time we tried to lift fork, after fork, after fork of delicious Ukrainian dishes to our mouths. It was a small house where a big family joined together faithfully. To honor the birth of Jesus, the traditions of our roots and the love of family. And to eat. And eat some more. And then eat again. I cherish the memories and traditions of those days. The feelings, the smells, the tastes are burned on my soul. The anticipation of missing school (we never went to school on January 7th - not once), opening gifts (again), eating delicious treats and waiting for the carolers to arrive. And so I will never forget my Grandparents. Especially my Grandma. My Grandma was a infamous cook in the Keld area of Dauphin Manitoba. Everything she made tasted amazing. Seriously, a chip sandwich tasted gourmet. She had a knack. No. What she had was a LOVE. She got great joy from feeding people. She put her heart and soul into it. So I often wonder what she would think of my new "diet". My Ukrainian Christmas Day Menu. A menu devoid of wheat, dairy and eggs. That's huge. Wheat has a starring role in the traditional meal. Not at my house. That is not to be. Not for me. Not for my daughter with food sensitivities to everything. And not for my other two kids that can't handle dairy. But my Grandma instilled in me the strong pull of tradition and the unwavering love of cooking for others. So we aren't cancelling Christmas. Oh no. We are just changing Christmas. The faces around my table have changed. The "family" sitting around the table are my friends. Our families don't live in the same city as us. But friends are the family we choose so I am honored to have them grace my table. 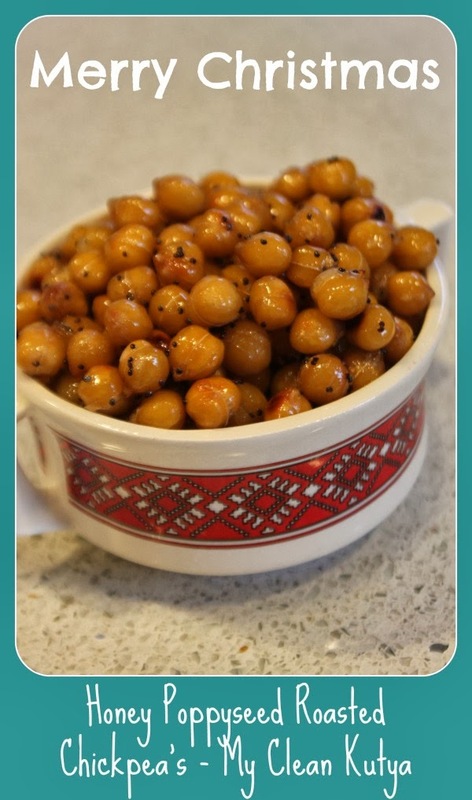 Roasted Poppyseed and Honey Glazed Chickpeas (recipe to come if they turn out). Yep. That's my Kutya. Dairy and Gluten Free Beet Borscht - I chose to keep it a clear broth but I would have made it creamy by adding full fat coconut milk if I wanted. Too lazy this year. Gluten and Egg Free Meatballs in Sweet and Tangy Sauce - I used arrowroot, ground golden flax and coconut flour instead of "breadcrumbs" and Chia seeds instead of eggs. Gluten, Cheese and Egg Free Perogy Casserole (recipe to come if its edible) - My husband thinks it a bit risky to experiment with this on a crowd of guests but as he said "either way it will be a conversation piece". Its not traditional. Some may say its Unorthodox (no pun intended - Ha, ha, ha - that's so funny....to me anyway). But I think she would be happy. She would be happy to see that I still pause for a day to remember my roots. That I still fill my kitchen and my pots with love. That I still find people I love to fill the chairs around my table. That my kids are learning about tradition and are filled with anticipation. And that the carolers will be well fed and watered. My food might not taste as good. But at least I didn't break the "THREE MEAT RULE". I'm trying my hardest with the restrictions that have been thrown on our family. And we're making the best of it. Miss you Grandma. Thank-you. Thank-you. Thank-you. Merry Christmas to everyone!! Keep it CLEAN! And remember.........it doesn't have to mean giving up on your favorites, on your traditions. It just means thinking outside the box!